Turmeric: It’s NOT Just for Curry Anymore…100+ ways to eat turmeric! What is turmeric and what does it do? OK – you’ve probably heard of turmeric. It’s been touted all over the “health waves” recently to be helpful for all sorts of diseases. Got pain? Have some turmeric. What about cancer? Have some turmeric. Sign up to instantly download a handy comparison chart. Turmeric is a spice, and it’s not a “spicy-hot” strong-flavoured spice either. I personally find the strength (not the flavour) to be similar to ginger. Turmeric is a rhizome (1) called curcuma longa that is dried and ground to make turmeric powder. It’s an herb that has been traditionally used for medical purposes in several Asian countries(2). The main and most studied ‘active ingredient’ in turmeric (3) is called curcumin, which makes up less than 7% of the dried weight of the spice. Curcumin supplements have been shown in many, many scientific studies to have anti-inflammatory (2,4), anti-oxidant (2), anti-cancer (2,5), and pain-relieving effects. It is also being studied to protect your brain and heart (2), as well as to prevent and reduce the side-effects of diabetes (2,6). It has been studied for dozens and dozens of other health uses – check out the table in this link. It is fat-soluble and not well absorbed from your gut(2), and it seems to be quite safe for most people even at higher doses (see “Foods vs. Supplements” below). If you want to actually absorb the curcumin into your bloodstream, you should add a bit of black pepper (2,7), otherwise most of it will go right through you, which can still be helpful for your gut (8). Food is NOT a supplement (9). As mentioned earlier, the amount of curcumin in turmeric is under 7%. The actual quantity of the curcumin in the supplement should be stated on the label. Of course, this is not the case when you eat the actual ‘root’ or the dried/powdered turmeric from the spice section of your grocery store. In Canada, where we have fairly strict Natural Health Product Regulations, curcumin supplements have been approved for use as an antioxidant, as well as to help relieve joint inflammation (11). Eating turmeric itself will NOT be as potent as taking the approved dose of 300 mg supplement of curcumin three times a day. According to some scientific reviews, eating turmeric may help to prevent some diseases (12), and there has been some efficacy shown (13). But most of the effects mentioned above have been shown with curcumin supplements and not dietary turmeric. If you want 300 mg of curcumin, and it’s up to 7% of the actual turmeric powder, you’d need: 300/7 = 4.3 g of turmeric root, at least. And if you’re taking that at the approved therapeutic dose of 300 mg 3x/day, you’re looking at 4.3 g x 3 = 12.9 g of turmeric powder a day. My bottle of turmeric is 67.5g total. (If you’d like one, here’s an affiliate link to pick one up, and here’s the non-affiliate link to the same product). This means that I myself (as one person) needs to eat 12.9 g/67.5 g = 0.19 bottles every day. That’s just under 1/5 of the bottle if I want to get that approved dosage for anti-oxidation or relief of joint inflammation. I’d be going through an entire bottle every 5 days to get those results! BUT, if you’re game to try a bit of disease prevention (and honestly, why not?) and aren’t specifically looking for anti-oxidant, anti-inflammation or pain relief outcomes right now, then maybe you should add a bit of it into your meals? Curcumin, the most widely studied ‘active ingredient’ of turmeric has many scientifically proven health benefits relating to its anti-inflammatory and anti-oxidant properties. Curcumin supplements have been shown to help with pain, cancer and diabetes, amongst other conditions. They have Health Canada approval to be sold as an anti-oxidant and to relieve joint inflammation. Caution is advised when considering curcumin supplements if you are pregnant, taking blood-thinner medications, have gallstones or a bile duct obstruction, or if you have stomach ulcers or excess stomach acid. Turmeric (the food, not the supplement) is not as potent as curcumin since the curcumin is no more than 7% of the spice. Turmeric (the spice) may play a role in disease prevention and food deliciousness. OK, enough of the science and regulations – on to the recipes! Personally, I don’t just eat turmeric in my curries, I also hide turmeric in whatever orangy or creamy food I make. I add a few dashes to quiches, creamy soups, and anything with a cheesy sauce. But, for a bit of inspiration, I’ve compiled a list of over 100 recipes that use turmeric. Have you had turmeric for breakfast yet? Have you had any to drink? Well, here are lots of ideas to choose from to get started adding a bit of turmeric to your food. Of course, if turmeric is new to you, you may need some time for your taste buds to adjust (14), but as I said, it’s not a spicy kind of “hot” spice. Don’t worry, introducing new and different-tasting foods often needs to be done gradually over and over before it becomes really enjoyed (15). IMPORTANT NOTE: FRESH turmeric stains! My poor Vitamix blender permanently turned bright yellow that time I was all excited to see fresh turmeric ‘root’ at my local health food store. It was such a novelty to find fresh organic turmeric root on the island (I lived in Newfoundland, off the East Coast of Canada). I’ve never had a problem with the dried/powdered turmeric staining anything. And there you have it! Over 100 ways to eat turmeric, and NOT just in your curry. There has GOT to be something here that you’ll like. If you choose to purchase the same turmeric that I use through my affiliate link, I will receive a small commission. Great article! Gotta love turmeric! Thanks for sharing my recipe! And here is another post with 60 recipes. Enjoy! This is really great. I’ve been told to use turmeric for health reasons. I tried it, but it didn’t stick when I was on my own. You offer really useful ideas and recipes. I’ll try some of these. thanks! My most commonly made dish is Tomato and Lentil Dahl which is a Thermomix recipe from The Basic Cookbook Leesa! It calls for 2 tsp ground turmeric but I always add a good nob of the turmeric root. 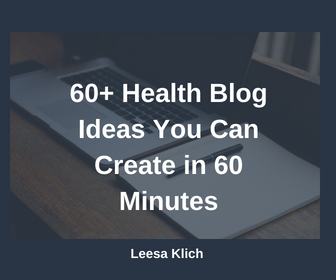 Thanks for this article Leesa. I am really enjoying my training in nutritional and environmental medicine that you checked out for me earlier this year and curcumin is covered in the cancer lecture. I didn’t realise that for being an antioxidant and immune modulating, there is over 100 pathways so far… this is amazing! I’m looking forward to trying more recipes. This article is very eye-opening indeed. 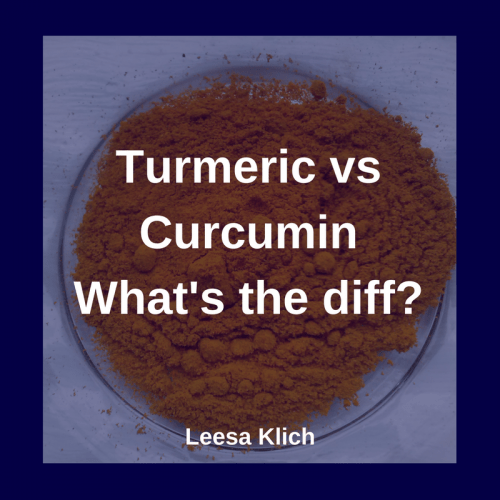 I have always known of the benefits of turmeric (needless to say I love spice in my food), however the difference between turmeric and curcumin? I have never known. Until now! I may consider curcumin as a supplement from now on but of course I should be aware of the health risks as well. Thank you for teaching us this valuable information!